Here at NeedyMeds we are dedicated to finding as many savings programs on medications and healthcare as possible. One of the primary sources of assistance we list are Patient Assistance Programs. These programs are usually offered by pharmaceutical companies and other organizations to provide medications at little to no cost. Many people, however, do not qualify for these programs because their income is too high or they are insured. Knowing this we began to collect information on coupons, rebates and other offers for medications. Our listing started fairly small but has grown considerably. 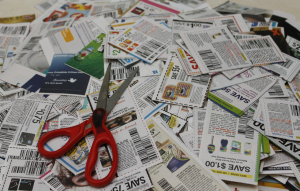 We currently list over 1,600 coupons, rebates and other offers. Each listing we post is for a brand name medication, including both over-the-counter and prescription medications. The offers vary and include printable coupons and rebates, savings cards, 7-30 day free trial offers, and free samples. Each program is different – some are as simple as printing out the coupon while others require registration, questionnaires, or obtaining a free sample through your doctor. Finding a coupon or other offer is easy. We list each offer on our Coupons, Rebates & More page. Here we have each offer listed alphabetically by drug, including a description of the offer and an expiration date. Simply click on the Manufacturer’s Offer to get the full details from the drug manufacturer’s website. We also list the coupons with our Brand Name Patient Assistance Program listings. Just look for the coupon icon next to the name of the drug. I am trying to find a discount for Restasis Eye Drops. I use 4 drops per day rather than 2.
in the ‘donut hole’ since march of this year. I have reached the ‘donut hole’ each year I have been using restasis, which is 5 years. Is there any help for someone like me?